A new PCR yeast and mold test that provides results in just four hours is available for finished dairy products. 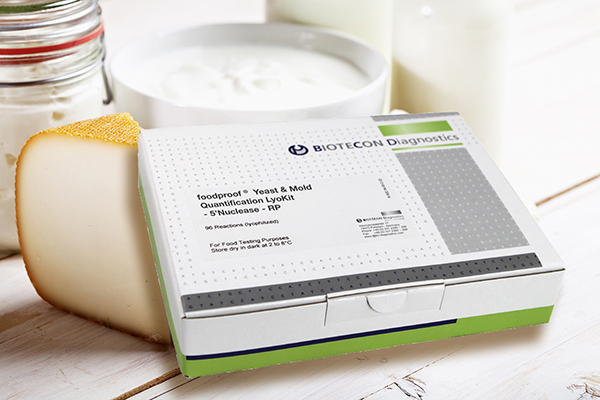 Developed by Germany-based Biotecon Diagnostics, the foolproof yeast and mold quantification test has demonstrated 100% specificity with 290 strains, representing 260 species with all phylogenetic groups included, according to a release from Weber Scientific. It also demonstrated 100% exclusivity with 60 strains of non-target microorganisms typically found in similar ecological niches (Sensitivity is 101 – 102 cells / g depending on sample type).